Self-reliance. Resilience. Tireless optimism. These are the traits of our customers. We built The Home Depot for them, to provide them with the products, services and knowledge they need to create the homes of their dreams. Decades later, they’re still the No. 1 reason we wear the orange apron. Poor work environment, limited communication and/or support, treat employees and customers shabbily, last resort employer. Applied last year nd took all the silly tests. Called and never heard back. I applied for a job there 20 years in construction more then qualified to work there. 1 interview never got called back. they always had a large range of people. 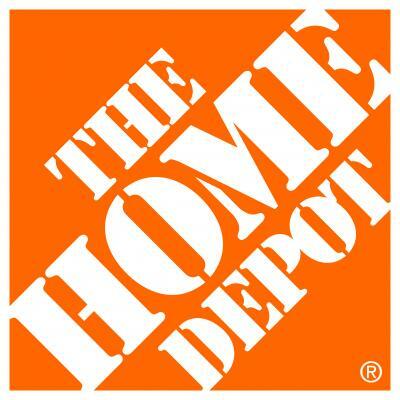 Online HR for Home Depot showed 9 available positions at a local store. Of the 9 positions, 6 were for cashiers. My interview was the same day that the system showed those positions. I was 58 years old, physically fit, and overqualified for a cashier position. I have a BA and nursing degree, as well as 12 years previous experience in retail. At the interview, the 22 yr old interviewer, told me the only position left was loading lumber and concrete bags onto trucks for contractors. The young who interviewed immediately after I did, was hired for a cashier position. Unethical and no respect for employees. I applied and was interviewed but not hired. I have no physical limitations, never been on medications and never admitted to a hospital. I have a college degree, have worked over 30 years for major international companies. I have been a manager over several departments and was responsible for expenditures in excess of 25 million per year.I believe I was not hired because of age. I am over 60, physically and mentally fit. I interviewed, it went well. Never hired me. Stopped in again to say I was still interested, still no hire. Only thing wrong with me was my age. I interview for a job at Corporate that was part-time. I was actually solicited for the interview and was totally qualified. It was so obvious the two individuals were not going to go forward with my application after meeting me. And oddly enough I am slender,and youthful for my age. I am energetic and project vitality. It was a very strange feeling I got at the interview. Experience. 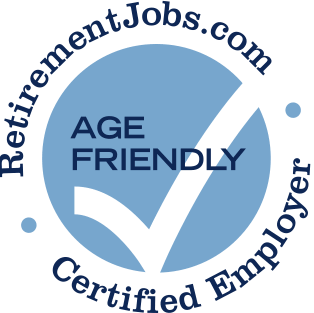 Age discrimination is evident if you become aware of the subtle games that are played to hire people over 50, but, then, fire or have them fired by unscrupulous games that are played to get them out. I experienced this myself, so, I do speak from experience. Anyone caring to validate this, can of course, see for themselves by doing a survey in the many Depots in their area. Selective discrimination is quite obvious to me, and to others that admit it, and don't just cover for them to keep their jobs. Unethical. You bet! HOME DEPOT USED TO VALUE THE KNOWLEDGE THAT OLDER EMPLOYEES BROUGHT TO THE CUSTOMER. NOW THEY HIRE AND RECRUIT YOUNGER PEOPLE THEY PAY LESS. they like any age worker as long as they work harder then they are getting payed for!!! 60+ workers know when they are being taken!! They hire all ages, ethnicity's regardless of any handicaps. Excellent. Age and veteran status are valued. I have experienced no indication what-so-ever over the past three years that age plays any part in employment decisions made by Home Depot. I am only 70 and I am working at Home Depot, but the older folks there have shown any discrimination toward me because of my youth. I am now 75 and an employee of HD who was hired one month ago. Since then I have recognized other recently hired employees of senior age in our store. I am not sure if this is a policy followed by our branch only and not honored on a national scale throughout the chain. I have personally met a high ratio of senior age workers on the Home Depot employee list. HD will hire older workers based ability not age. Supervisor appears biased to older employees and, even though certified to operate certain heavy equipment does not allowed older employee to do so. Older employee has no incidents with equipment and younger employees have. Having been in the construction field I felt that I would be a perfect fit for this company. I interviewed with the then manager and was told I had to much experience. Since when does having experience not qualify you for a job. They don't seem to want people that know the business working for them. Some supervisors feel uncomfortable having an older person working with younger personnel. Lay offs focus on those older than 50, and they don't call us back when economy improved, but instead hired twenty somethings who looked cuter than those of us with lots of grey in our hair. I have been able to witness first hand the fact that THD is most welcome to older employees as well as the younger associates. Offers enough flexibility as far as hours and days to work as well as different types of work. Does not reflect age bias on hiring or job placement. Many of the current employees are older. Have flexible work schedules. I am 62 and working there. The glass ceiling cannot be penetrated. Hires older people and Veterans. I am surrounded by people with gray hair, myself included. The woman that interview me walk so fast I thought she was trying to get rid of me, she almost ran over a man and his shopping cart getting to the back office to do the interview. The first words out of her mouth was why do you still want to work, that was not age friendly. I had applied for a cashier position that was open, she said the only thing open was water the plants with a hose in lawn and garden. I had no problem getting hired on and age-relative problems on the job. Many older people worked for this employer. This company tolerates older associates so they appear friendly. The greatest disconnect is the subject of customer service. Older associates and younger associates want to approach tjhis in A way that is true to their "generational" understanding. I "know" that management could help each store make more Money if the education of customer service were a priority. It's a very Simple solution but not one person I've engage with can See this customer dissatisfaction as a solvable situation. I've been with THD since 2005. Before that I was Cosmetologist since 1970. My change of career came about because my mother went into Hospice and needed my help. I've worked in Hospicr since the early 1980's. I'll be 72 soon and know ALL older associates who don't feel As if contributing to the Company putting customer service first is even Noticed much less appreciated.